Artificial Intelligence (AI) is a topic that is permeating virtually every area of our lives, both personal and professional, and features regularly in the news. 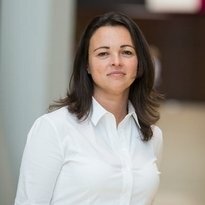 Whilst fans and sceptics abound, we asked Catalina Schveninger, Global Head of Learning at Vodafone, to talk at a recent HR Leadership Breakfast and tell us why she believes it presents such exciting opportunities for business, but also for society and environmental sustainability now and in the future. With extensive international HR experience Catalina talks openly and passionately about how AI, machine learning and data analytics are transforming the HR function within Vodafone. Recognising that many jobs which currently exist are already evolving, emerging or disappearing, Catalina highlights why now is the time to be thinking ahead, upskilling your current staff, but even more importantly preparing the young people who will become employees of the future to ensure the right skills are in place. How long have you been interested in Artificial Intelligence (AI)? Did this begin as a personal interest, or was it more professionally linked? It has certainly been heightened in the past couple of years, and this was through a combination of personal and professional interests. Personally, I had always liked ‘sci-fi’ or augmented reality films like Minority Report and Blade Runner and I love to read about technology too. Working at Vodafone I am exposed to innovation in technology and we talk about AI and the Internet of Things (IoT) very regularly. My passion for augmented reality is now becoming actual reality. It is science-fiction minus the fiction and it really excites me. There is growing interest and also some trepidation around AI and machine learning. What would you highlight as the key areas of excitement and concern from business leaders about the potential of AI? I really feel excited and positive about AI. I believe that there are so many opportunities to leverage this technology to achieve a far better outcome for society and the environment. Looking at it from a global perspective, there are so many AI companies and technology start-ups that are supporting all of the United Nation’s Sustainable Development Goals and this is truly exciting. Examples include accurate disease risk management, minimising and controlling addiction, and preventing crop disease and loss. I also believe the concept of self-driving vehicles is very interesting. It could ultimately lead to a safer, cleaner, more efficient future for transport which is so important. At Vodafone our Foundation has rolled out an app called DreamLab which is using untapped processing power from phones when they are being charged overnight to help support vital cancer research. The campaign #sleeplikeahero is just one of the many ways that a variety of businesses are using AI for good to address some of the world’s toughest challenges. One of the most influential figures on AI is Peter Norvig, Director of Research at Google. He talks about how the biggest challenge with the technology is working out how it will improve society as a whole so that everyone can benefit from it. He believes that there is a real need to democratise the technology for the greater good, instead of a few lucky ones having access to it. This is where I think it is very important to focus. It is quite a complex concept, and we do need to ensure that this increased complexity does not make it more difficult to access or scrutinise what it does. This is where concerns were raised by the late Professor Hawking and these are views that are taken very seriously. Biases can creep into the build of sophisticated algorithms. The example of Tay, the chatbot introduced by Microsoft in 2016 on Twitter for 24 hours until it was removed because it was demonstrating racist and misogynistic bias, does show that there is still a long way to go in understanding the speed and capabilities of AI and that greater scrutiny of its complexities needs to be undertaken. How much influence do you believe the media and wider commentators have in driving forward, or limiting, the advancement of machine learning and AI? The media plays a massive role in influencing public opinion and stakeholders on AI, and there is a particular thirst in this area at the moment. There is a continuous stream of stories about AI and related technology, particularly focused on when it goes wrong. I believe this sensationalist approach is fuelled by a greater desire to sell publications and content and really should be balanced with good news stories. AI can augment life, deliver greater sustainability and preservation of our environment and improve efficiencies in so many areas. I would not deny that the media does have an important role to play when something does go wrong, as highlighted very recently with the Cambridge Analytica news, but I do think in general a more balanced view would benefit a wider segment of society and allow far greater democratisation of technology. Within Vodafone, AI is being used to enhance the HR process and employee experience. Can you give a brief overview of how you have approached the challenge of upskilling the HR function to deliver this? I think our functions have taken a massive shift in focus and skills and areas. In the past the core skills of HR staff were focused on areas such as employee relations, union relations, compensation and benefits and organisational design. The hard skills required now are much more blended between ‘pure’ HR and other functions such as communications, digital marketing and technology. This means there has been a massive modification in the type of experience and background that HR employees need to have and greatly increases competition from other areas. We have reviewed the skills and critical experiences framework for HR recently and included marketing and technology, in addition to the pure HR competencies. For Vodafone there is a clear spotlight on both the customer and employee experience and technology is the major enabler for this. In order to partner well with IT, the HR teams must, at a minimum, be able to write a good brief about how technology fits into, and can enhance, the experience. This knowledge helps with the credibility of the function too. In Vodafone we firmly believe that everybody can learn the new digital skills. We are giving a lot of people in our HR function exposure to technology, but ultimately they are responsible for their own learning. We have a lot of resources and opportunities available to them. We hold regular ‘lunch and learn’ sessions, and many of our digital natives and graduates do ‘reverse learning’ with senior people to get them up to speed on technology. It is likely that the people we hire are more tech-inclined because of the type of company we are, and there is an expectation that people working here need to at least have an affinity with technology, if not be an expert. What key benefits has this brought to organisational leadership within the organisation? Have there been lessons learned in the way AI is applied to the HR function? We have a new function in our global centre of expertise looking at enhancing employee journeys, many of which are cross-functional and mostly underpinned by technologies like AI and automation. The driver for this is quite simple: the better the experience they have at work, the more likely they are to stay with the company, be immersed in the brand and be motivated to deliver great work for our customers. If this experience is improved then there is the potential for higher levels of engagement, and the opportunity to free HR staff from administrative work to deliver more beneficial outcomes, through coaching and training interventions, for example. The heavy reliance on admin has to change. In five years, our workforce will be made up of humans and bots. They will complement each other. This will ultimately mean that the humans in the organisation will get more attention, more time and acknowledgement and more personal development. There will be the capabilities to personalise their careers far more, with increased knowledge of preferences and experiences to ensure that they are looked after as well as possible. We are not there yet, but I believe this will change rapidly, and we will start using the data to be more predictive and better able to diagnose. This is a learning curve, but an exciting one for us to look ahead to. There are of course functions and areas of the workforce that will be more affected than others by automation. HR will still rely very heavily on good judgement, empathy and communication skills. We will need digital coaches to teach and program the bots, and this definitely requires people for the job and new jobs will emerge that don’t exist today. 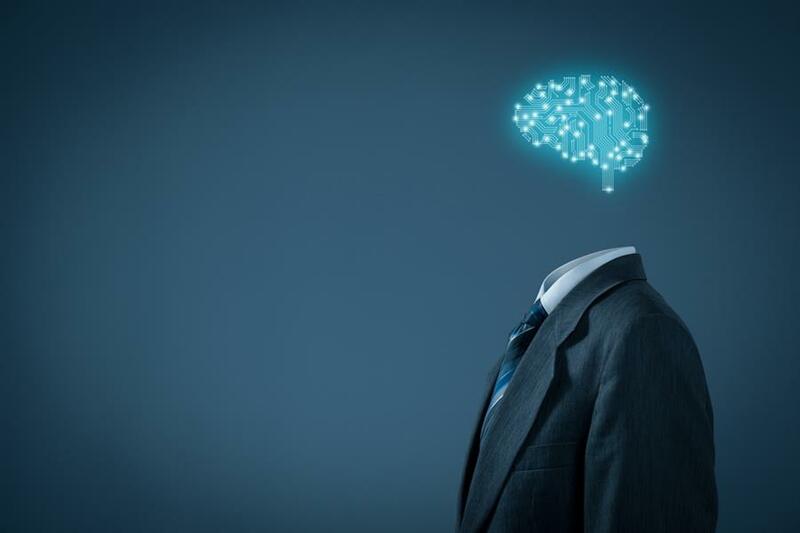 With a greater use of AI within a traditionally ‘people-focused’ area does this pose ethical implications for the employer / employee relationship? A vital part of AI activity is making sure the algorithms are bullet proof and that what we are teaching the bots is correct and bias-free. That, in my view, is the key ethical responsibility as we look to expand its use. With increased automation there are also the challenges that come with reducing workforce numbers and we really need to think about that. A lot of jobs will disappear – 30% in the UK by 2030 according to a report by PWC – but a large number of new jobs will appear. The World Economic Forum estimates that 65 per cent of children in primary school today will end up in careers that don’t even exist yet. It is therefore essential that we focus on building the skills of tomorrow and we reskill/upskill to maintain our employability. How important is the strategic approach towards internal branding or positioning of AI within Vodafone? At Vodafone there is a huge commitment to experimenting and being first with technology solutions. When it comes to AI, we are being very cautious, especially when it comes to the potential for bias and the lack of huge amounts of rich data. Specifically, for the HR function we have used machine learning in some areas of recruitment, in predictive hiring for graduates and using natural language algorithms to make job adverts appealing to a wide range of talent. We are also looking at chatbots as enablers of employee experience – if we use Alexa at home, why not have the same experience with solving tasks at work. More broadly, within the field of machine learning and AI, is there anyone you particularly admire? Google Deep Mind is one of my favourites – their mantra of solving intelligence through research is very inspiring. They are based in London and hire an intellectually diverse team to focus on general AI research, including UX designers to help make research tools, and even ecologists, in addition to big data scientists and software engineers. IBM Watson is another one that I am very impressed by, and their tools for HR are among the best of breed. Catalina Schveninger joined Vodafone in its London HQ in March 2014. Previously, Catalina was a Board member and HR Director of T-Mobile in The Netherlands. She began her international HR career in 2002 as a member of the Human Resources Leadership Program at GE and held different roles in the Netherlands, Spain and Belgium until she was appointed as HR EMEA Director of GE’s Security division (a division that was acquired by UTC). A mother of two, Catalina is an NLP and Transactional Analysis practitioner and is a passionate advocate for the attraction and development of talented women. With a keen interest in technology, she is driving forward the integration of Artificial Intelligence (AI) and automation across the HR function within Vodafone.